Yesterday in addition to taking lots of photographs on a great little ride along the river Thames to Greenwich and back I also took some video. The link to the video is below. 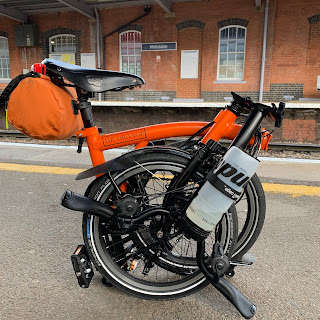 Although quite short I hope that it captures the spirit of simply taking your Brompton out and seeing what you can see. As alway watch it at the highest quality to get the best from it. Nocturne and NightRider Back to Back! !